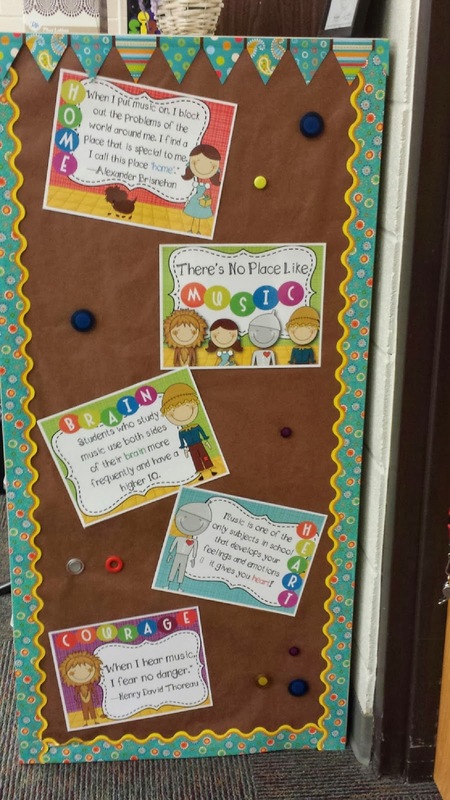 Kodaly Inspired Classroom: Turning drab into FAB! I hope you all had a Merry Christmas and enjoyed your break! I sure did! Ellie was able to open presents this year and I got my husband a new puppy for Christmas, so the holidays were very busy at the Jervis house! Over the Holidays (well, actually for my birthday) I got a new blog design! I really love it and hope that it encourages me to blog a little more often! :) If you had my old blog button on your blog, you may want to grab my new and improved button! This will just be a short post because it is the day before school starts back up and I have SO MUCH TO DO! Today is our work day and I am planning, creating new seating charts, and doing some cleaning and organizing in my music room. I have a huge music room but really limited wall and bulletin board space. Most of my wall space is windows, cabinets, or chalkboard. I have utilized my cabinet door space into my word wall area, but I always like to find other ways to get my classroom bright and cheery. 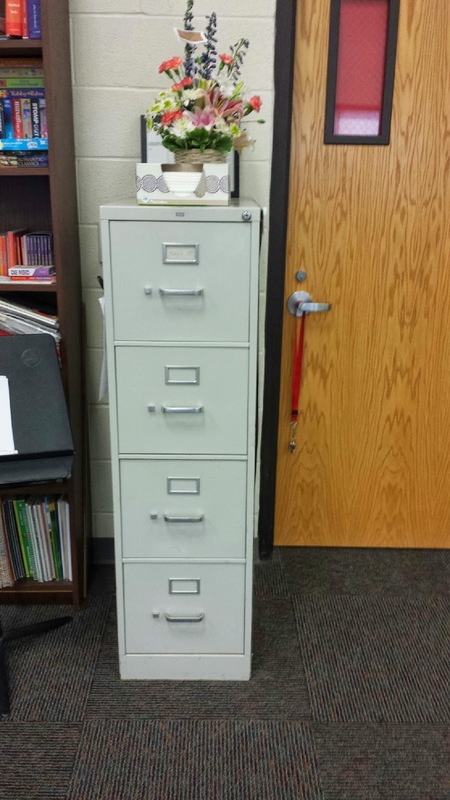 With Kansas Day coming up, I decided to deck out the side of one of my filing cabinets to help brighten up my space a bit. To deck out the side of my file cabinet and create "extra bulletin board space", I just taped a long sheet of brown paper to the side (you know-the kind you find in your work room), and trimmed it off with a border using tape. I added my OZ inspired "There's No Place Like MUSIC" posters, and a few bright color magnets and now have a great pop of color in my room plus a little music advocacy board! Our goal with this collaborative blog is to bring you ideas, resources, songs, activities and strategies that you can use in your Kodaly-inspired classroom! 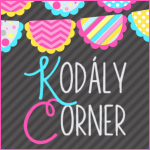 There is also a Kodaly Corner Facebook Page you can "like". Find it all on the blog! I hope you have a great start to your Spring semester. I will be checking back in soon! I LOVE the new blog design! It is cute, catchy and colourful! I also absolutely love your idea of a collaborative blog. I am very involved in the Orff community here in Manitoba/Canada. I would love it if we had something like this. Are you creating a blog for your state organization to take turns posting? Or your national Kodaly community in general? I'd love to hear more about this! It is a collaborative effort of Kodak teachers from across the country. I have never personally met any of the other teachers except one. Many of us met online through our blogs, tpt, and facebook. If you start a collaborative Off blog be sure to let me know. I would love to follow it! Kodaly* - darn auto correct! Thanks for sharing that link, David! I will check it out!